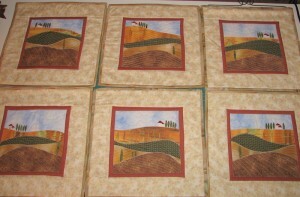 And finally, the last cool thing my mother delivered to us last weekend were these Tuscan scene placemats she made. 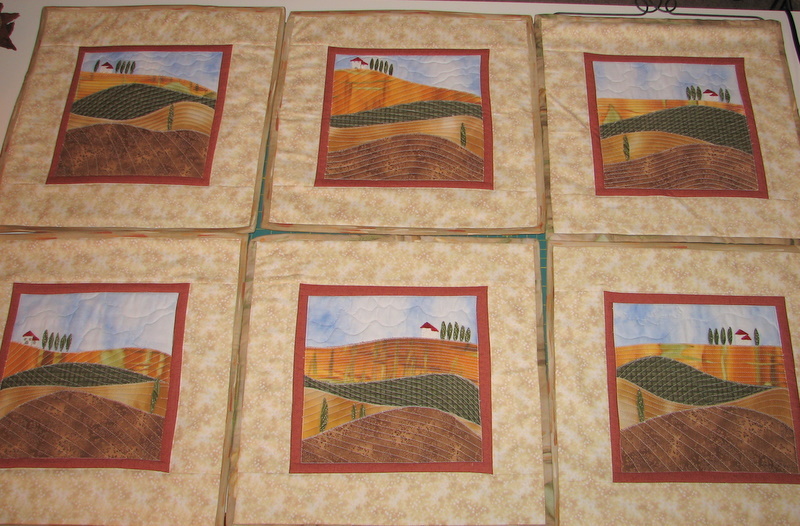 These were apparently supposed to be a graduation present for me last year, but my mother held back giving them to me after I made some comment about my fear of quilted placemats. To be fair, when she hinted she was making me some I envisioned a staid Christmas paisley or something. Nothing as interesting as this. But she finally broke down and brought them over more than a year later, perhaps thinking that I would now appreciate all the work that went into them as I’ve been learning to sew. I’m growing, people. 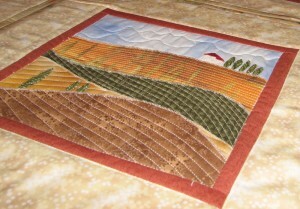 Anyway, every mat is a different Mom-improvised scene representing the hillsides of Tuscany. Two years ago I did a month-long study abroad in Florence for my graduate degree and did a short trip out to Chianti country. So now seeing these I feel like they are a pretty outstanding reminder of the experience and the landscape. Go, Mom! See what I have to live up to?